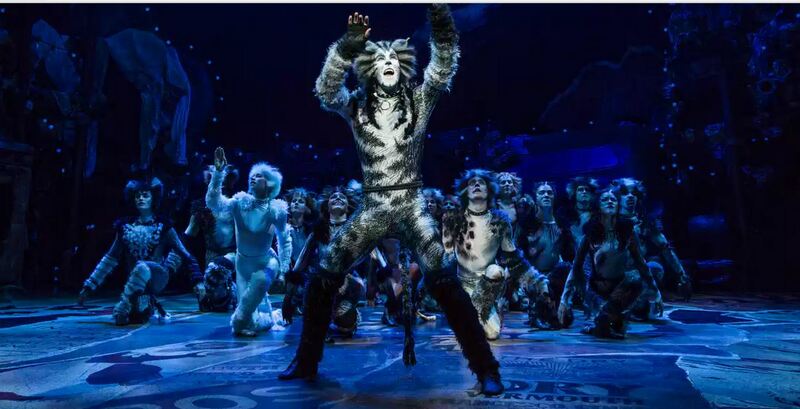 Much to my great surprise, I really enjoyed the hearty new revival of “Cats” that opened at the Neil Simon Theater on Broadway. I can’t be THIS moved by this pile of furry kitsch which has been disdained through the ages, can I? Well, I was particularly by the first act. And it was the MUSIC. Yes, Andrew Lloyd Webber just did me in with his sweeping, weeping synthesizer-based, semi-operatic score, which has held up remarkably well, and is being beautifully played and sung here. What “Cats” has got that I hadn’t counted on was memory. And not just the song “Memory” which I saw for the first time in 1996 with an old boyfriend, who was then new, and both of us had never seen it before. And we were both more swept away than I remembered, but especially by Liz Callaway’s heart-rending rendition of “Memory.” Which you can see at the top of this page. We were sitting in the nearly the front row of the Winter Garden, and Callaway looked me right in the eyes and held my gaze as she sang it. It was earth-shattering. Like she was saying, “I know what this song means to you.” And she was right. And watching that very complete performance on Vimeo, yes, she did it to me again. With a full orchestra yet. I was moved to tears in 1996, and my friend had to comfort me as Grizabella went to the Heavy Side Layer. So romantic. I could barely speak. And this time “Cats” did it to me again. But it was from the instant I heard those iconic bars of music at the beginning of the first act overture. They had me at “hello”. Or “meow”. And I don’t like cats as a species. Leona Lewis, who won a talent contest in England and has sold millions of records, just didn’t have the acting chops that Liz Callaway, and probably Betty Buckley, who I never saw do it, or Elaine Page, the original Grizabella in England more than 20 years ago, did. She can sing it, but she can’t act it. Grizabella, the tattered glamour cat needs both. She’s tragic. But the first act! 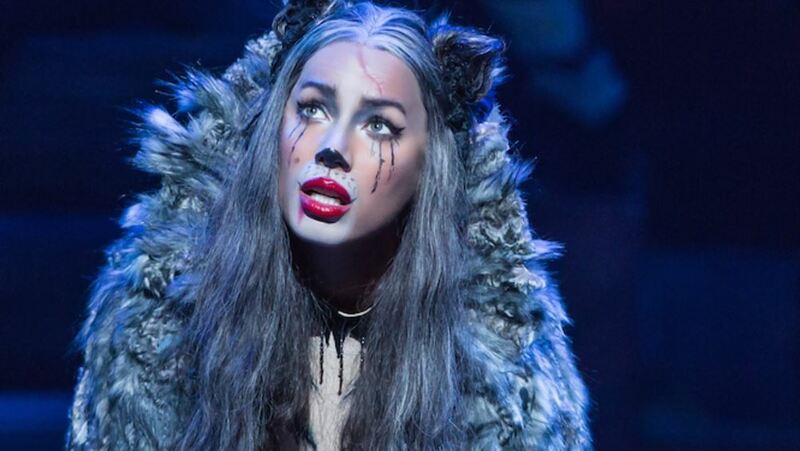 Before Leona Lewis “hesitated towards you” and threw “Memory” away, before THAT, I found “Cats” Act I absolutely delightful and moving. You see, you have to toss all preconceptions of what a musical should be. It still doesn’t have a plot. But this time I thought, it didn’t need one. The first time I saw it in 1996, I missed the plot. There is no plot. There is just a string of poems by T.S. Eliot of all people set to music, and Act One is a series of reviews, vaudeville turns really, and this talented cast was up to it in spades. The dancing this time is just terrific. “Hamilton”s Tony winner for Best Choreography Andy Blankenbuehler was outdone himself re-doing each number in his own very striking, stirring, purring way. Blankenbuehler attacks “Cats” like he attacked the dancing in “Hamilton” and also “In the Heights.” He approached as if it were a new script entirely, so his take on the many Cats and their movement, is very fresh and strong. Original director Trevor Nunn is still on board, so there is a sense of tradition in “Cats” too. But its’ just jammed with stunning new talent. Main among them is Andy Huntington Jones, who you can see at the top of the page as Munkustrap, who acts as the narrator. Not an easy job in this fur-filled ensemble. You’re also going to remember Christopher Gurr as Bustofer Jones in Act I “The St. James St. cat” and also Asparagus, the ancient theater cat in Act II. They touch you in ways that Leona Lewis can’t. I hear she’s leaving the show soon anyway. It seemed like she was half out the door already. But a favorite among favorites was the tangled twosome of Munjojerrie and Rumpleteazer. Who are really Jess LeProtto and Shonica Gooden. 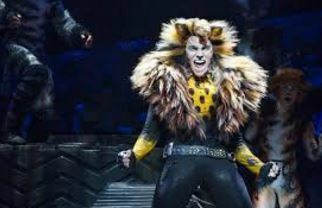 Tyler Hanes really rocked the place as Rum Tum Tugger, the Mick Jagger of cats. And Ricky Ubeda dazzled as the magical Mr. Mistoffelees, jumping, summersaulting and pirouetting his way into the hearts of all. He seemed to be turning into a rainbow of colors to match his electrified suit. And Quentin Earl Darrington as Old Deuteronomy, the oldest cat alive, was appropriately moving. Spoiler Alert! Especially as he as Grizebella, ascended to the Heavy Side Layer, and Leona Lewis woke up and finally started to act with him. So yes, I teared up all over again. I’ve always felt that Andrew Lloyd Webber was a much better theater composer than anyone has ever given him credit for. Except the audiences who pack into his shows. 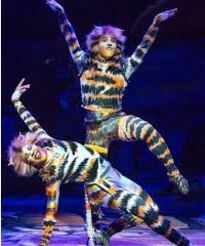 “Cats” ran for 16 years the first time. “School of Rock” is at the Winter Garden, where “Cats” was originally and “Phantom of the Opera” is still running, too. With an astonishing three shows currently on Broadway, he’s obviously doing something right.